Training to compete in a bodybuilding competition can seem like one of the most intimidating experiences in the world. There is so much to learn, so much to do, and so much dedication required. No one article can give you every piece of advice possible for successful bodybuilding for two reasons. 1) The article writer does not know who YOU are, so specific advice is difficult to give 2) There is too much to teach. Don't let that put you off though, most of the fun of bodybuilding is learning what works for you personally through trial and error. At the end of the day, exercise regularly eat lots and keep protein high and you will get good results. The purpose of this article is to give you 10 actionable tips that you can use, without overwhelming you completely. Whether you need to lose weight to get that six pack showing, or gain weight to increase your bicep size you need to track your calories. You need to estimate what calories you are currently consuming, what calories you are currently using per day, and what changes you need to make to enable change. If you have gained weight over the last 6 months then you are currently consuming more calories than you are using meaning you are in a calorie surplus. If you have lost weight over the last 6 months then you are in a calorie deficit. If you have stayed exactly the same, then you have found a balance. Whatever you want to achieve next will require you to change your current calories either through food or exercise. Downloading a calorie counting app to your phone so that you can log how many calories you are consuming is the first thing you need to do. Downloading a step-counter is the second. This (when combined with exercises performed in the gym) will help you estimate how many calories you are burning. Getting your macronutrient ratios right is very important, you need to make sure that your protein intake is spot on, your carbohydrates and fats also need to be correct. As a bodybuilder the best macronutrient ratios to follow will be those that are uniquely targeted for you. Luckily Eric Helms, Alan Aragon, and Peter Fitschen have got your back . They found that the optimal amount of protein to consume was between 2.3 and 3.1 grams per kilogram of lean body weight. To get your lean body weight, estimate your body fat percentage and then minus that from your total weight, the answer is your lean body weight. So if you weighed 90kg and were 10% body fat, your lean body weight would be 90kg minus 9kg (81kg). Fat should make up 25% of your diet, so find your calorie total (mentioned in tip #1) and divide it by four. So theoretically if your calorie target was 3,000 per day, then 750 calories would come from fat. Fat is 9 calories per gram so divide 750 calories by 9 = 83.3g (rounded down to 83g). As you already have your protein target in grams, you can multiply it by 4 (the number of calories per gram of protein) to get your protein calories (972). Add together your protein and fat calories and then subtract them from your total calories. So 972 + 750 = 1,722 calories which subtracted from your total calories (3,000) equals 1,278. These are the calories that should be made up from carbohydrates. As carbohydrates, like protein are 4 calories per gram this means that you should be consuming 319g per day of carbs. The Anabolic window, if not quite a myth has been proven to not matter so long as you are eating regularly before and after a workout . This means that you don't need to neck a protein shake immediately after a workout, nor do you require BCAAs during a workout. The protein that you consumed with breakfast (assuming you are exercising between breakfast and lunch) would still be in your system for hours to come, and the protein consumed at lunch would top it up afterwards. As Hoffman et al (2009) stated, so long as your daily protein intake is high enough to create a positive net protein balance it doesn't matter when you take a protein shake . The previous tip is predicated on the fact that you are consuming protein regularly throughout the day, rather than having low amounts at breakfast and lunch and loading it at dinner. A 2014 study found that even protein distribution positively influenced muscle protein synthesis  (the process that uses protein to increase muscle size and strength). Another study did find that taking Casein protein immediately before bed also helped increase muscle protein synthesis, which backs up the earlier point about spreading your protein intake throughout the day . This has to be one of the biggest misconceptions in bodybuilding, that eating lots of meals will “stoke the metabolic furness“. Well first off, whilst eating food does increase thermogenesis (raising the body temperature which results in more calories burned) the impact would be minimal. Secondly this belief is not backed by science, Munsters & Saris (2012) found that low-frequency meals (as in 3 or 4) actually improve resting metabolic rate . Whilst there is nothing wrong with the odd machine weight added to your program, free weights will get you better results. A study comparing the two found that free weights produced a greater hormonal response, with increased Testosterone and Growth Hormone levels increasing. Free weights also activate more muscle fibres than machines, which will lead to greater strength and size improvements. Bodybuilding and sporting performance are essentially the same in the effect they have on the body. Many studies have found that sleep can improve performance  and can increase the hormonal release of Testosterone and Growth Hormone . 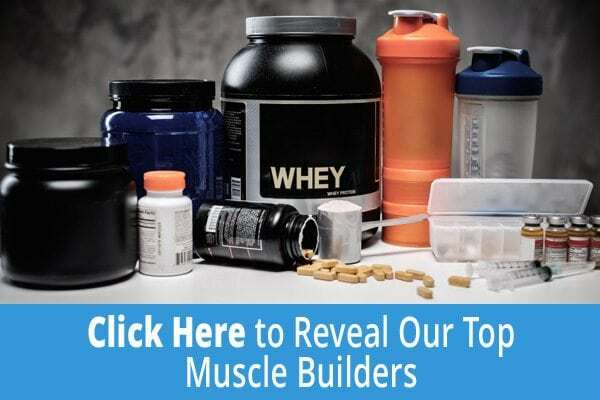 Whey protein has been proven to help build muscle, and assist fat loss . Caffeine has also been proven to increase fat oxidation  and raise your metabolism. It also improves performance . Creatine has been shown to improve performance, improve strength gains and hypertrophy. Particularly when combined with whey protein . How many of these tips have flown in the face of what your friends told you? Most if not all of these tips fly in the face of the accepted wisdom of regular gym goers. But they are all proven to work. If you are planning on dedicating the next 12 months of your life in pursuit of bodybuilding, you better make sure that you are following the right information. Spend at least 1 hour per week, learning something new about nutrition or exercise. Make sure that your information is coming from proper fitness experts who can back their claims with scientific evidence. Getting yourself a contest prep coach for the entire duration would be a great idea as they can make sure you do everything right. But if you cannot afford them then at least save up some money to get taught how to pose, this is the hardest thing to learn on your own, and will make the difference between winning, and dropping out of the top ten. Remember, you are dedicating the next year of your life to performing for 1 hour on a stage. Make sure you can perform to your best ability when you get there.